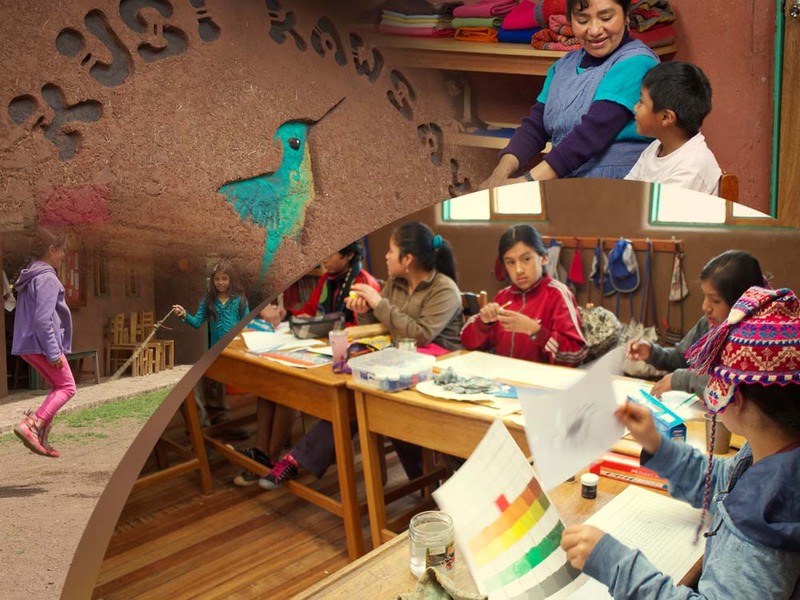 Kusi Kawsay is a school that provides quality education that is rooted in the Andean tradition for children and youth of communities surrounding Pisac (Cusco). Its Andean Legacy Project seeks to protect and conserve the Andean Cultural identity and the resources that are vital to its survival. This involves music, dance, art, weaving and practicing environmental consciousness through agriculture and education, and the celebration of the Andean calendar cycle. The school brings elders and respected community members to teach courses to the youth to empower and equip a new generation of young Indigenous Andean children and youth with the tools, music, dance and respect for the land that will allow them to sustain the Andean cultural identity and continue to pass these beautiful traditions along to future generations.